Wash and soak red lentil for hour and drain the water. Coarsely grind it. For jute leaves wash it, drain the water (I leave it in a strainer for couple of hour to get rid of any excess water) and chop coarsely. Mix all ingredients together and heat oil in a frying pan. Take a dollop of the mixture and add to the pan. 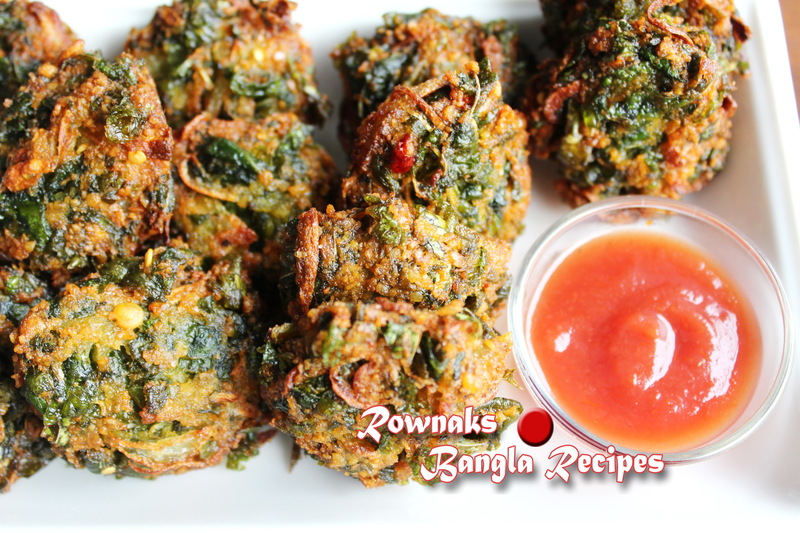 On medium heat fry on both sides till golden brown. 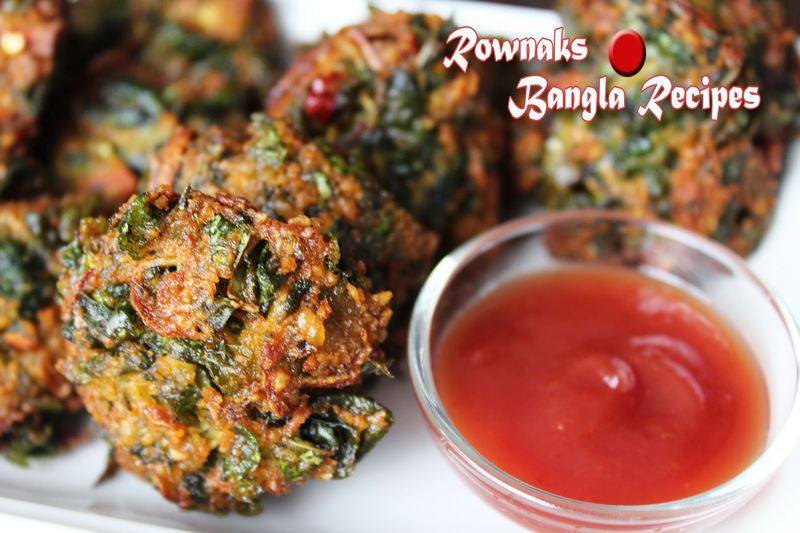 Enjoy Pat shaker Bora / Jute Leaf Fritter as a snack or with rice dal.